D-link Dir 600M wireless n150 is a budget and one of the cheapest home/office router that you can buy online. It is priced at 800 to 1000 Rs (20 dollars) on many websites. Though it is cheap, Dir 600m offers decent features that include 150 Mbps transfer speed, inbuilt security, and 2/3 years of warranty. This router has a lightweight body and it features 4 LAN ports. You can use it with computers running on the Windows 7, 8.1 8 or 10 operating systems. I had ordered the router through one of India’s leading eCommerce sites for just 15 dollars. When Dir 600m arrived at my place, it was packed well in a cardboard box. The package included a yellow colored LAN cable, a power adapter, and the router unit. It also contained a router manual. Access the router’s configuration page by entering 192.168.0.1 in the address bar of your browser and hitting the enter key. When the page appears, enter Admin in the username field and leave password field blank. Now click on the login button and you’ll see the below web-based interface. As you can see above, there are a lot of options available for configuring the Dir 600m Wireless N150. For connecting to the internet, turn off the router, connect the POE cable with RJ 5 connector (the one that comes from the rooftop) to the WAN port and turn it back on. Open the internet setup page and select WAN access type as PPPoE. Now enter the username and password that your ISP has shared with you. Set the idle time as 5 and MTU as 1492. Scroll down and change the WAN port rate to 10/100MBPS. Leave the other options on the page unchanged and click on the apply changes button. The green i light on the router should now be turned on. When the settings are saved, reboot the router. You can now start browsing the internet. If you are using the d link dir 600m to connect more than 1 computing devices, you may want to restrict bandwidth usage for other machines. You can easily accomplish this by associating the MAC addresses with the IPs. To do this, open local network page and enter the IP and MAC address in the 2 fields located below DHCP Static IP Configuration option and hit the add button. To limit the bandwidth usage for a particular user, navigate to the traffic control page located under the advanced section of D-link Dir 600 router. Note: To get the MAC address, open command prompt and run the ipconfig command. 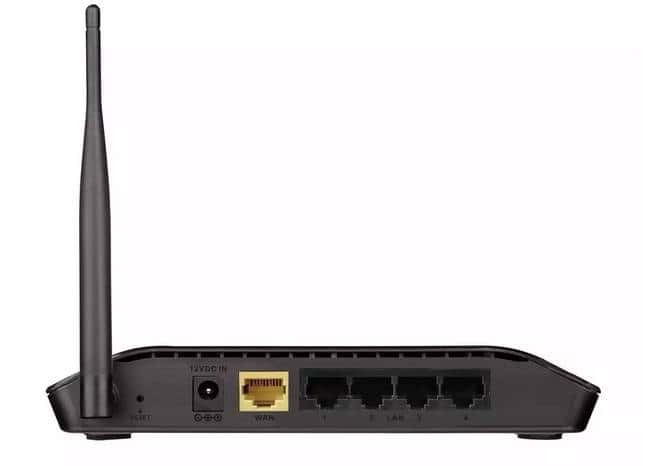 To change Router name and password, visit wireless basics page and enter a name in the SSID field, set encryption type as WPA-PSK AES, check the enable SSID broadcast box and add a 8 character password in the pre-shared key field. If you do this, other users will not be able to use your internet connection. They’ll be able to access the internet only if the user enters correct SSID and password. Buy DLINK Dir 600M here on Amazon web-portal. Final Verdict: Wireless N150 is easy to configure. It is a good product with powerful features. You can block URLs, control network traffic, enable DMZ/port forwarding through the setup page. D Link Dir 600m is one of the best budget router for home and small office use. Its configuration is not a difficult task. The range is decent and price tag is around 800 INR. 1) Connect all devices with the router. 2) Log into the http://192.168.0.1/index.htm page and click on active clients table option. 3) Note down the MAC Address of the devices. 4) Open Local Network page from the setup page. 5) Scroll down and assign a static IP address to each MAC addresses you’ve noted down in step 3. 6)Open Traffic control page from the Advanced page. 7)Add the IP Addresses under the QOS rules. Make sure that you assign the maximum bandwidth to your computer’s IP addresses.